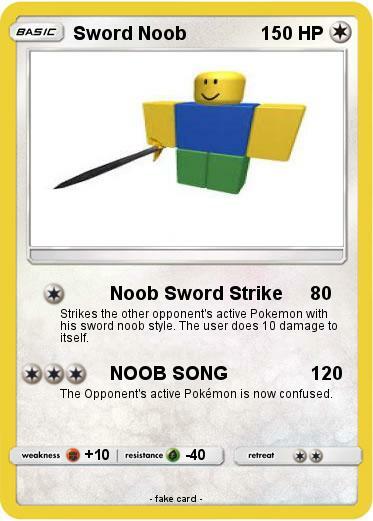 Strikes the other opponent's active Pokemon with his sword noob style. The user does 10 damage to itself. The Opponent's active Pokémon is now confused.